Tap the three-bars icon at the top-left of the screen. 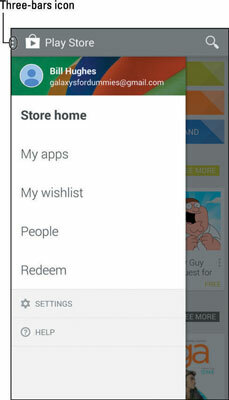 Doing so brings up a pop-up menu for the Play Store. Tap the Line that says my Apps. This tap brings up the screen for your apps in panorama, which lists all the apps on your phone. Keep on scrolling down. You’ll eventually see them all. 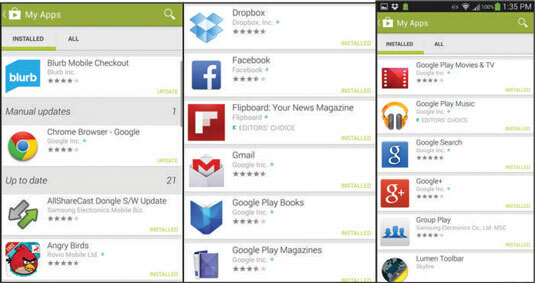 Tapping on one of these apps is how you rate them or uninstall them. 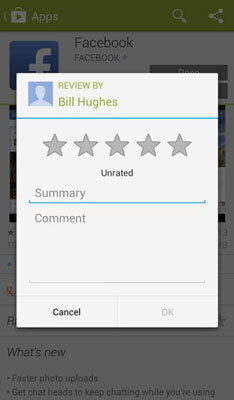 If you love the app, rate it highly. You get a pop-up, in which you can rank the app and tell the world what you think. If you hate the app, give it one star and blast away. Let other people who may be considering trying out this app why you didn’t like it. Did it have bugs? Did it not give you what it promised in the app description? Whatever it is, write about it so other people will know. 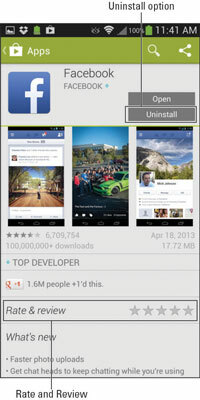 Then you can remove it from your phone by tapping the Uninstall button.